Home | News | Health Partners Appreciates our 2017-2018 Major Donors! 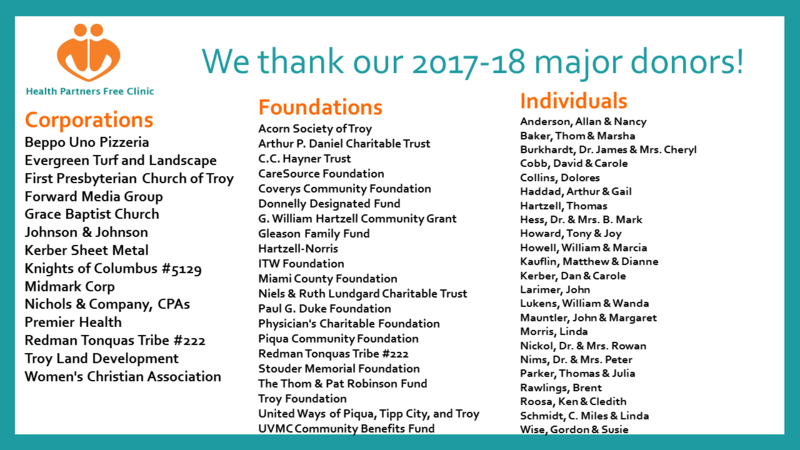 Health Partners Appreciates our 2017-2018 Major Donors! Without these generous folks, we could not be!